Abu Dhabi is set to host the Middle Eastern leg of the Longines FEI Jumping Nations Cup™ qualifiers as part of the UAE’s most important international showjumping event of the year - the President of the UAE Showjumping Cup presented by Longines. The four-day event will be held at Al Forsan International Sports Resort from February 20-23, 2019. The event is organised by the UAE Equestrian and Racing Federation (UAEERF), with the support of the FEI and Abu Dhabi Sports Council. The President of the UAE Showjumping Cup presented by Longines will feature classes for Children (riders between the ages of 14 – 18), Juniors (riders between the ages of 14 – 18), as well as exciting two- and five-star classes for the international stars of the sport. The spectacular Longines FEI Jumping Nations Cup™ qualification class, which will be held on Saturday, will be the climax of the four-day event and a competition you won’t want to miss! 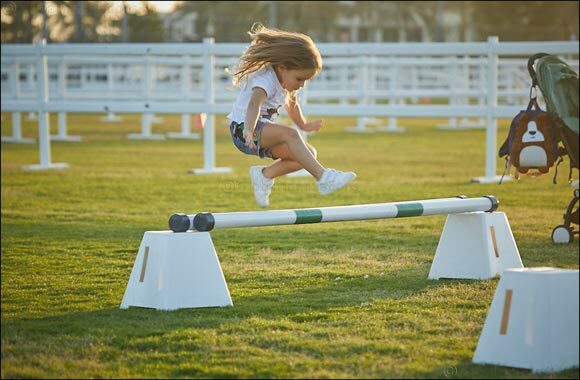 As you watch some of the best showjumpers in the world compete, you’ll also be able to enjoy many equestrian-themed activities from free pony rides, arts & crafts and face-painting for the kiddies, to live entertainment for visitors of all ages and a multitude of food trucks to satisfy your cravings! There will also be an equestrian village with pop-up stands where you can purchase a variety of the latest and greatest in equine equipment and fashion. As a special treat for the kids, there will be a variety of games including a special Unicorn derby, a Rodeo Bull, X’s & O’s, Horse Shoes and Giant Jenga.